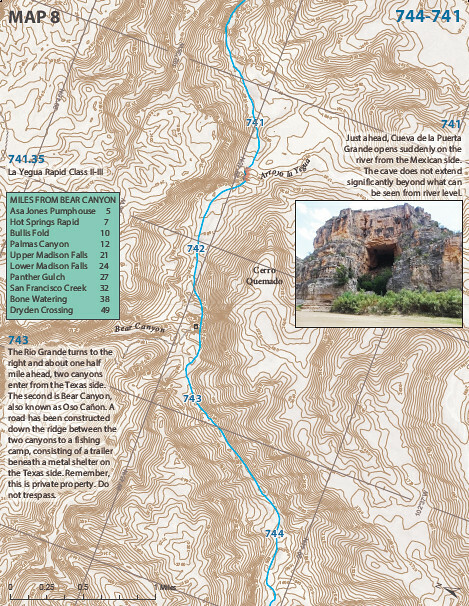 BBNHA has published a revised edition of the old green river guide to the Lower Canyons. 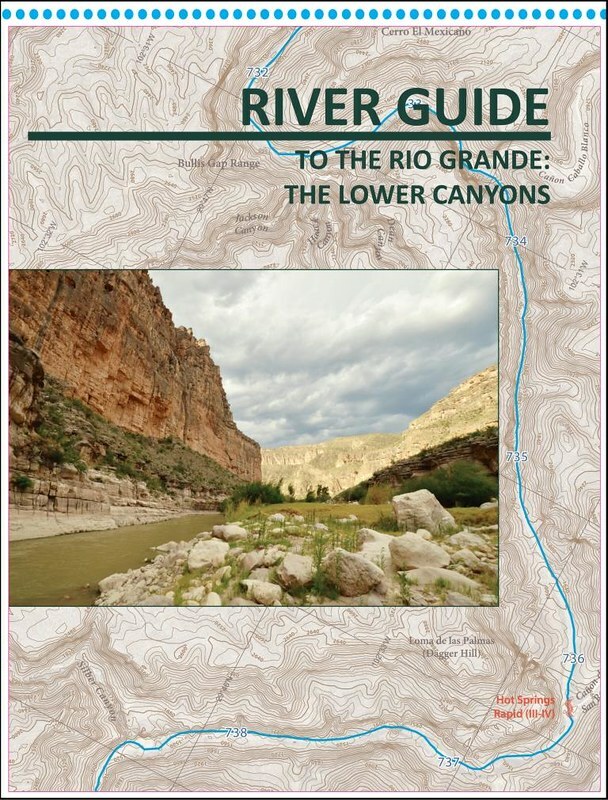 but the user of this guide must realize that the Rio Grande is a living thing and that like all living things, it changes. Major flash floods from side canyons can and do completely change the nature of any rapids formed where the tributary flow enters the river. The water level of the river fluctuates constantly. Rapids can become minor ripples or be shifted to surprising locations as boulder beds are rolled about by major rises. Sand and gravel bars disappear, reappear, and relocate with every rise and fall of the river. In that sense, every Lower Canyons trip is a journey of discovery just like the first. For that reason, this guide avoids specific information that could be outdated by the next heavy rainfall. The maps are intended to help you know where you are and what to expect, but we cannot provide the two most important ingredients: common sense and skill. Thanks. I'll have to pick one up next time. 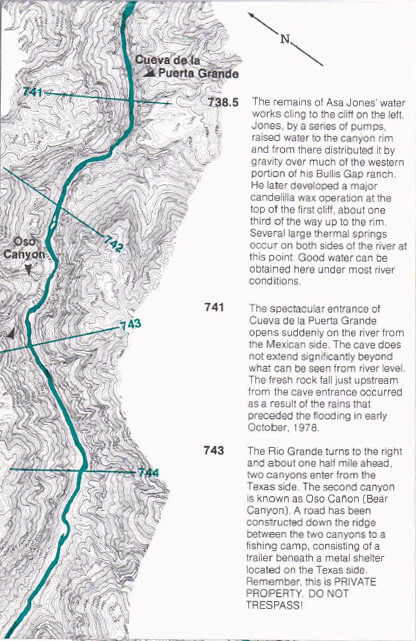 A few years ago a buddy of mine in Terlingua gave me a hand-written copy to the Lower Canyons which I believe eventually became the official guide. See attached PDF. This info may be listed but I some how missed it. oops. I did a google look up and found out how to order the book and put my order in. So, have any of y'all actually done this trip? Here's a nice story about a recent Lower Canyons trip. Well that did the trick. You set the hook. "but the real woes came in the form of river cane and cow excrement. " Be sure and stop before you get to the bridge . . .